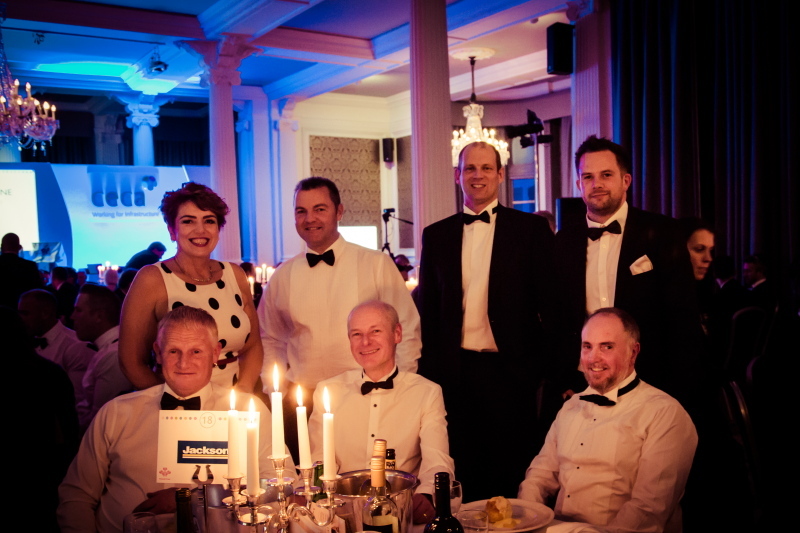 A team from Calderdale Council and Jackson Civil Engineering were Highly Commended in the Civil Engineering Contractors Association (CECA) annual Yorkshire and Humber Awards. The partnership was nominated in the ‘Project of the Year over £2 million’ category for the Salterhebble phase of the A629 project, and received the prestigious Highly Commended rating. Calderdale Council worked with Jackson Civil Engineering to undertake works and as part of the project, 5000 tonnes of rock was removed to widen the highway to four lanes on Salterhebble Hill. Two junctions have been remodelled and 6000 soil bags plus seven million seeds have been used to help create a living wall, assisting to improve local air quality by absorbing carbon dioxide and nitrogen dioxide. Pedestrian and cycle lanes have also been included, making for safer journeys. Pelican crossings have been upgraded and smart ‘Mova’ technology has been installed on all of the traffic signals, which monitor traffic flow throughout the area and adapt the signals to help keep vehicles moving. Together with the proposed A629 Calder and Hebble Junction project, it is estimated that journey times from the M62 to Halifax town centre will be reduced by 30% for cars, and up to 50% for buses. The built major improvement is forecast to generate an additional £2.3m of growth to the local economy per year, rising to £27.6m when the future phase is delivered. “It’s great news that the Salterhebble project received a Highly Commended rating at the CECA awards last week. “The project was delivered in a truly collaborative manner. This fostered an excellent site culture and aided planning and the smooth delivery of the scheme. This entry was posted in Next Chapter, Roads and Highways, Transport. Bookmark the permalink.